We've not updated in over a year, well we're still alive. There's been various boring reasons for why we've been quiet but you don't want to hear about that! So we're back and we have a new game in the works, no release date yet because we're taking our time and making this our most polished and fun game yet. To celebrate the recent release of Avatar Battle Bees, we're giving away a code to download the game for free! 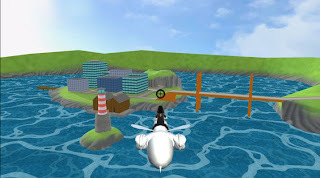 In order to win, you must download the trial version of the game - click HERE if you haven't already. 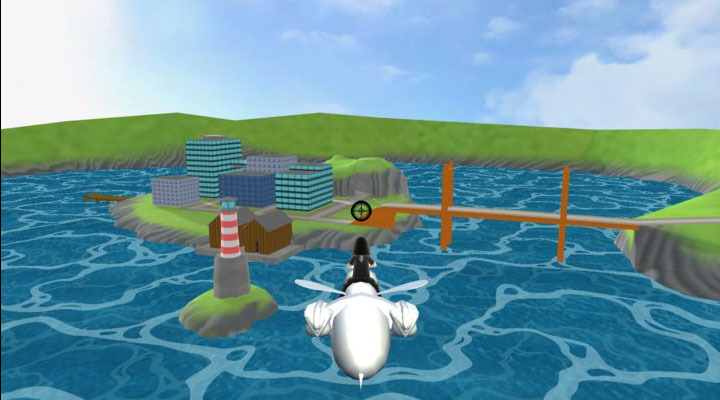 1) When you enter the game, you must hunt each and every screen for a reference to our old game Banana Split. 2) When you find them all, just tell us (via twitter @torturasfsg)how many you found and the winner will be selected from those with the correct answer. There is more than 1 reference in the game - so search each and every screen! The winner will be chosen tomorrow, so happy hunting! Hi everyone its time for another update! So I guess you're wondering what we have been up to over the past 12 days. The answer to that question is lots! Milestone 4 have been met meaning that the date we intend to release ABB is on track (so far!). So whats new then? Deathmatch - for all your bog standard killing needs. 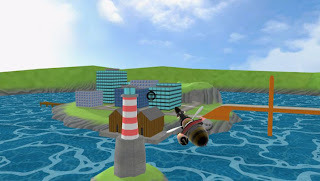 Wave Defense - Think zombie survival mode, without the zombies and with bees! AI has been finished. If you cannot find a player online the AI will always be willing to challenge you in wave defense mode. 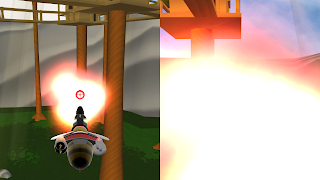 Particles have been added, and unlike the bullets from the weapons these are secondary effects that go in the environments and are used to show things that can't really be modelled in 3D effectively. Things like EXPLOSIONS. In addition to the explosions, so far there are water spray effects from a waterfall and flames/smoke from a camp-fire. May not initially sound like gripping stuff to you but to us its a massive leap forward! Like the code side of the game, art has moved forward with the addition of the super secret level that Brett was cooking up (it was only super secret as I wasn't on the approved list of people who got to know!) 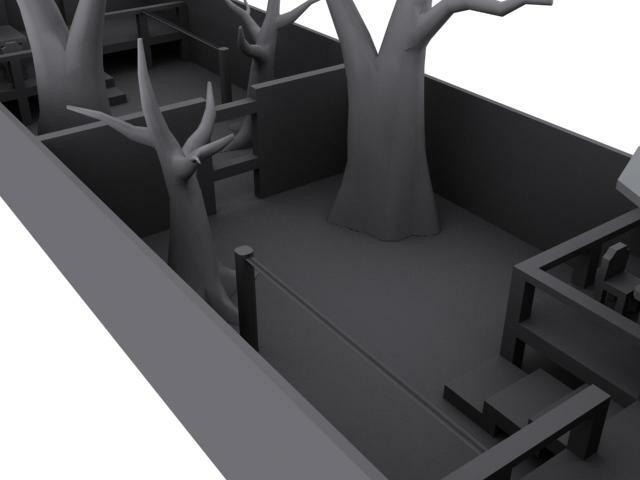 Its a deathmatch map based around a tree top village. The white areas are where the custom colours for you Bees go. As its very important that when you're on a rampaging killing spree your showing off your custom colours! 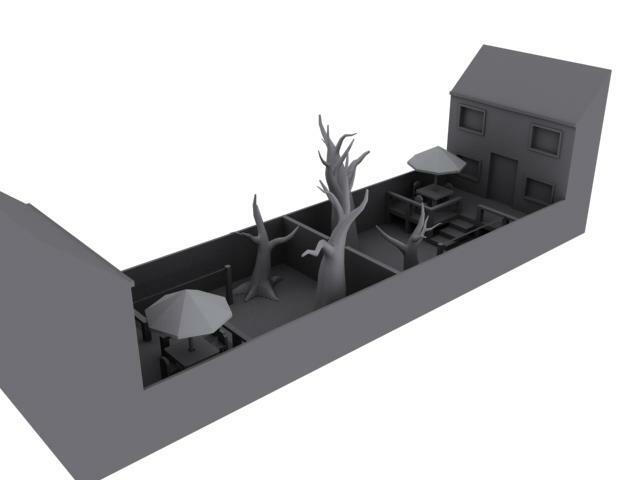 As for the Garden level I mentioned last time its still in the pipeline. Due to work I have not been able to put as much time into ABB as the rest of the team. However due to well placed holiday days I'll have 11 days off around the Easter period so fingers crossed I'll man up and have it done by then! 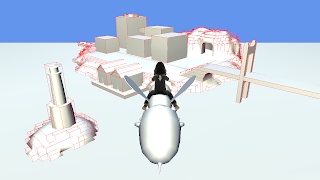 Howdy followers, its time for a few updates on the progress of the game. Since the last update the game has been moving forward even more. The code has been updated, models have been built and textured. Altogether its starting to look very nice if I do say so myself! This is a pre-alpha video of game play footage form about 2 weeks ago. The clip shows the movement around one of the levels on the game recorded by Brett. Since this video was recorded the game has developed more. With a few updates to the camera lag and how it follows the Bees on their epic battle of the skies the game play feels more like your flying the bee around, rather than moving it. An update of the game play footage will follow in the coming few days as the last parts are cleaned up. 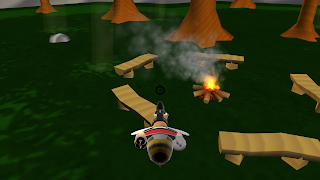 New additions to the art: Since the last update the bee model and the weapons model has been textured. The above image is fresh off the presses so to speak. The projectiles now have their own models. 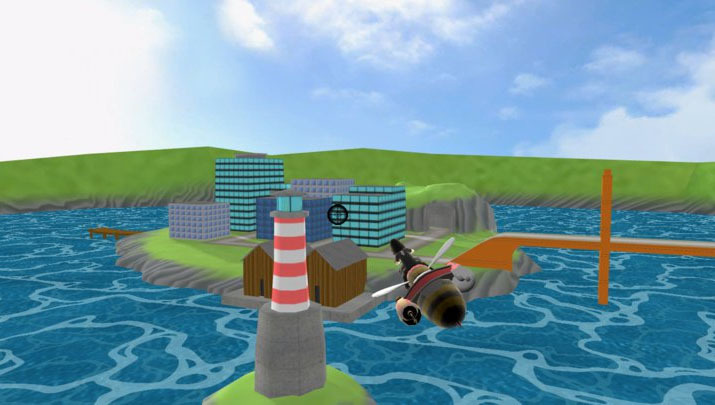 So now can you not only fly around an island town, you can fly around an island town launching honey combs and pollen lumps at your fellow bees! 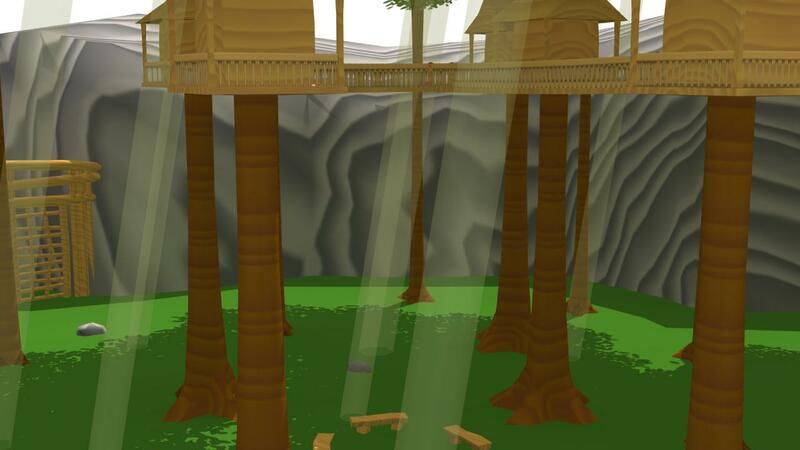 Also in the pipeline is another 2 levels (possibly more). 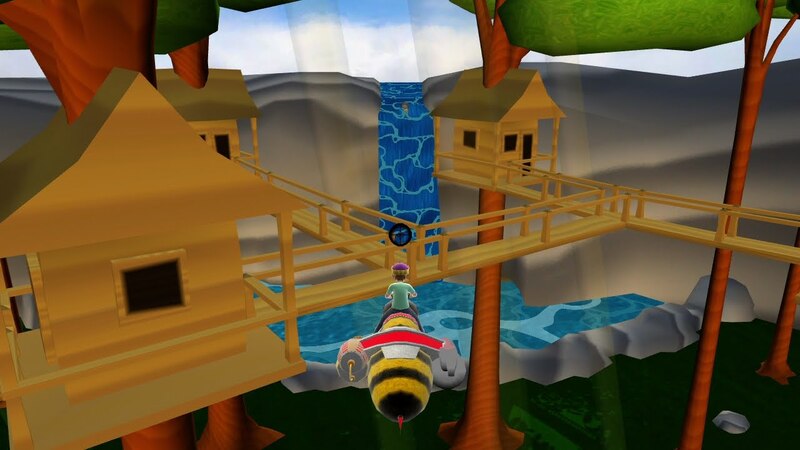 One of these levels is featured in a back garden, with decking, washing line and trees to fly around. 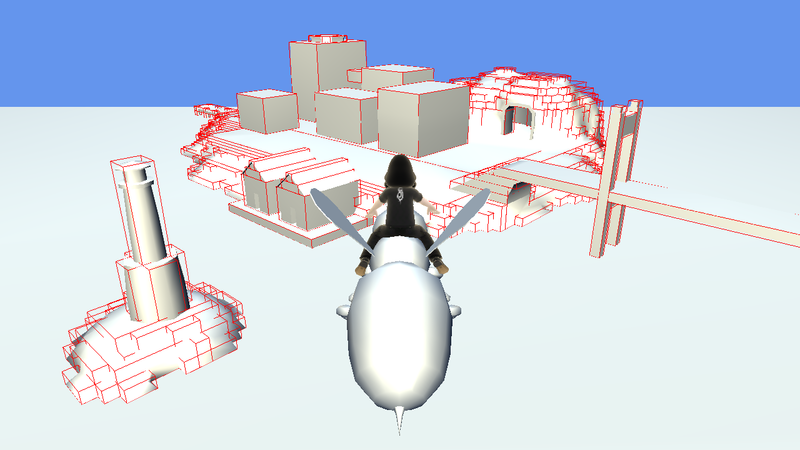 Here are some early WIP screen shots of this level. 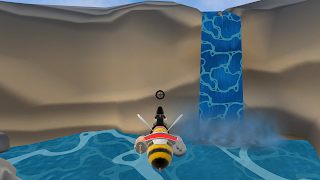 The "Garden" level is hopefully going to be used as a CTF type mode with the flag replaced with either a hive or pollen or something else bee related. At this moment in time extra game modes will be added when the team is happy with how the death match aspect works. As for the second in the pipe line its a closely regarded secret! New Additions to the design: Since the last update some outline ideas have been drawn up for the Perk systems. So far there is a total of three perks that the player can equip which will lend to their play style and give them an edge over their enemies. Shield: This will give the player a temporary shield which will grant a damage reduction. Useful when you have a swarm of angry bees closing in on you with stinger missiles. 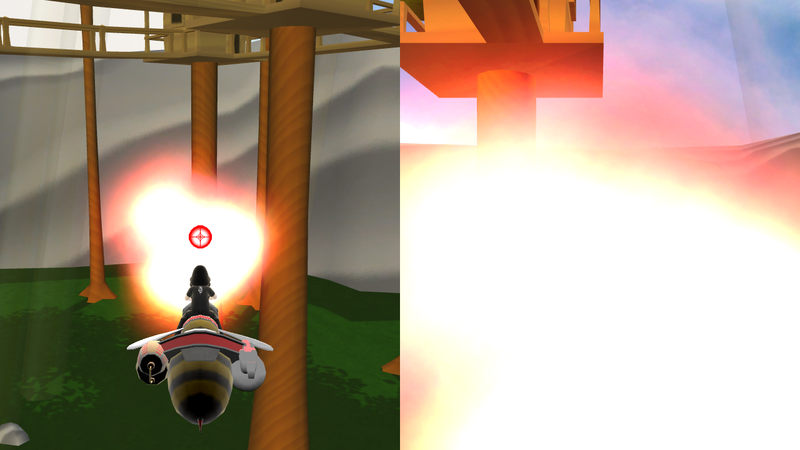 Speed Boost: This will give the player a real kick to their flying speed, handy when chasing after your pray. Extra Damage: This will upgrade the strength of the players fire-power. For those suicidal moments where harder hitting pollen blobs will make the enemy bees fall out of the sky. So far all the perks will be running on a 10sec Duration and a 30-45sec Cooldown with this system timing will be key to survive those encounters. That is all for the moment. I'll keep you all updated on the progress as and when its made! Trying to follow up on the success of Avatar Bumper Cars we have chosen to return to the world of avatars after a small diversion of rabid elves and huge blood thirsty snowmen. Avatar Battle Bees is pretty much what the name suggests! 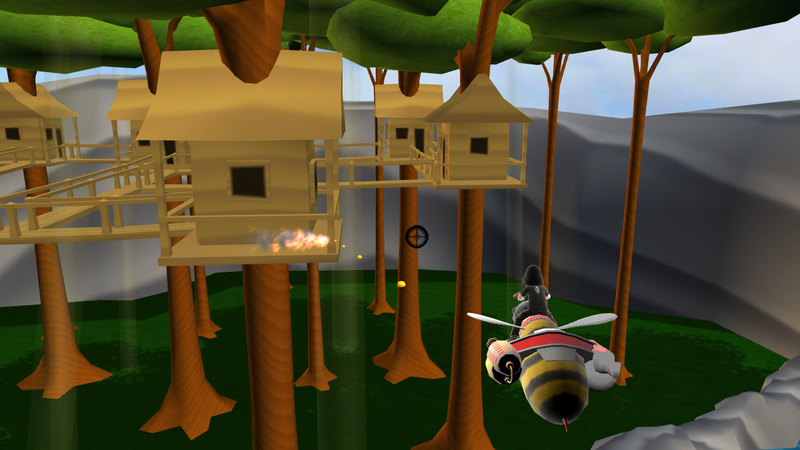 Large bees (which your XBL avatar rides) take to the skies in battle, each one bringing a different combination of weapons and perks. The game will be XNA for XBL and will support online play. 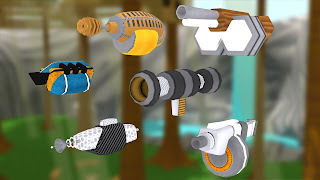 So you'll bee able to take down your friends with 'stinger' missiles and water cannons. Here is some work in progress screen shots. As you can see the game is starting to take shape this is a glimpse of one level so far. 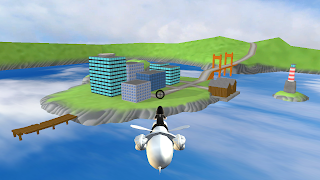 More levels are in the pipeline, as we update the game we'll try to keep the blog updated. Fingers crossed and look to the skies in May! Here is a trailer to whet your appetites! We've been busy (and quiet) for the best part of the year. Here is a WIP video of a game we aim to release in the next couple weeks!